The rising price of a college education nationwide has been blamed on everything from administrative bloat and tighter state budgets, to an arms race of amenities such as luxe dorms, state-of-the-art athletic facilities and gourmet dining in a battle for students and top rankings. In 1990, Michigan sent $1.06 billion to the state’s public universities. If state spending on higher education had remained steady in 2014, when adjusted for inflation, universities would have received $1.92 billion. Instead, colleges got $1.26 billion, a 34 percent decrease after inflation. With less money coming from taxpayers, universities collected more from students through higher tuition. As state support dropped, tuition skyrocketed. At least 60 percent of tuition increases at Michigan public universities over the past decade can be attributed to a drop in state funding. The share of public university budgets coming from the state budget plummeted from 48 percent in 2001-02 to 21.5 percent in 2013-14, according to a report issued by the nonpartisan Michigan House Fiscal Agency. During that same period, the share of college budgets supported by tuition jumped from 44 percent to 71 percent. “Almost all of the increase (in college costs) is because of decreased state support,” said Mike Boulus, executive director of the President’s Council of State Universities of Michigan, the advocacy organization for the state’s 15 public universities. A House Fiscal Agency analysis concluded lower state funding is the cause of between 60 percent and close to 100 percent of tuition increases, depending on different inflation formulas and whether increased student aid is counted. “There’s no question tuition would be lower (if state funding had remained stable),” Boulus said. How much lower? Boulus doesn’t have a ready answer. But if tuition made up the same percentage of the per-student cost of education today as it did in 2001-02 (42 percent, rather than the current 70 percent), tuition, on average, would be about $3,300 lower per year at Michigan public universities. That amounts to a savings of more than $13,000 over four years on campus. Of course, more money for higher education would mean either less money for other state programs – K-12 education or roads, for example – or higher taxes. After years of cuts, public universities have had four straight years of funding increases. “We’ve turned a corner,” Boulus said. College is a service industry, and service takes employees. About 63 percent of state university budgets are eaten up by salaries and benefits, according to the House Fiscal Agency report. Labor can eat up even more of the budgets of small, liberal arts colleges where there is less overhead, said Don Heller, dean of the Michigan State University School of Education, whose area of research is higher education economics. “It’s a labor intensive industry with high-demand, high-priced labor,” Heller explained. As enrollment has risen at Michigan’s public universities (up 13 percent since 2001), so has teaching faculty (up 15 percent) and their paychecks (up an average of 12 percent after inflation is factored in). “Typically, improved technology means fewer people and lower prices,” Heller said. “We can buy books cheaper today because of the competition of Amazon.” But universities have “not been successful at replacing labor with capital. Many of the faculty can make more money outside of universities, which keeps salaries rising. Slashing salaries is problematic, because faculty pay at Michigan schools isn’t out of line with other peer public universities around the country. Michigan State University’s average faculty salary is near the bottom among Big Ten schools. Cutting positions is possible if class size is increased or more courses are taught online. But “even online courses often are the same size as in-person classes” because professors still have to grade papers and interact with students, Heller said. Between 2003 and 2013, Michigan was dead-last in the nation in the increase in the amount of aid the state offered college students ‒ over this period, the state actually decreased aid by more than $125 million. Michigan was one of six states to decrease aid, and the decrease here was the largest in the nation by far. Michigan’s primary state-funded scholarship program for college students, the Michigan Promise scholarship, was cut from the budget in 2009 at a time when the state was desperately looking for ways to eliminate a deficit. The Promise scholarship was a merit-based scholarship program that provided up to $4,000 toward post-secondary education at any approved Michigan institution to qualifying Michigan high school students. At Grand Valley State University alone, the Michigan Promise paid $11 million toward tuition for students in 2006-07, according to Lynn Blue, vice provost and dean of academic services and technology at GVSU. “We didn’t have additional funds to make that blow (to family budgets) go away,” Blue said. The Promise scholarships cost the state about $140 million a year. Twelve of Michigan’s 15 public universities have four-year graduation rates below the national public university average of 31 percent; Only four private colleges (Kalamazoo, Hope, Calvin and Albion) of 39 in the state have four-year graduation rates above the national private school rate of 52 percent. Extra semesters on campus mean extra tuition, fees, room and board. The University of Michigan at Ann Arbor has the best four-year graduation rate among the state’s public universities, at 76 percent; Saginaw Valley State University has the lowest, at 9 percent. Hope College, at 67 percent, has the highest four-year graduation rate among Michigan’s private colleges. While not enough of them graduate on time, most Michigan full-time students eventually earn a degree. A report released today by the National Student Clearinghouse Research Center reveals that 89 percent of Michigan-resident students who enroll full-time at a four-year public university get a bachelor’s degree within six years – the third-highest rate in the nation. Getting more of them to graduate in four years could save those students and their families tens of thousands of dollars. See how colleges stack up in four-year graduation rates. “I tell parents, ‘Make sure your kid finishes in four years,’” Boulus said. Points #1 and #3 are valid and account for almost all the increase. I don't understand #2--of course teaching salaries are expensive, but why the INCREASE over time? The reasons given (competition from private-sector or K12-public education) were just as true 10-20 years ago. Furthermore the article points out that Michigan's higher education salaries are far from above the norm. MSU average teaching salaries rank near the bottom of the top ten, according to this article, but college education in Michigan is among the least affordable in the midwest. As for point #4, this certainly increases college expense, but shouldn't we be comparing average cost per year, at least in addition to total expense? The students I know who spread it out did so because they just couldn't afford more tuition per year. Of course it would've saved to take more courses and finish in 4 years, but if you can't afford to because tuition is too high (and you have to work on top of that to make ends meet), you get stuck with that increased cost of the 5th, 6th or 7th year. Frankly I blame the legislatures for selling out on publicly funded universities AND cutting state scholarships. (More expensive private schools are now quite competitive with our public universities because there are more private scholarships targeted at these schools and lots of financial aid from these schools to make them more affordable. This is good for those who want to attend them, but it is revealing that our public universities are more and more like private universities. So much for the public good. With two boys who will be of college age in the next 4 years, I wonder about moving to Indiana to establish residency there. They spend 48.20 per capita on higher ed compared to Michigan's 9.38 per capita. Amy, your comment may be true, but you're referring to the cost to the student. What we need to understand is the true cost per student.....total university cost divided by the number of students. Not a simple measure, because there are many students who are not going full -time or carrying a fullschedule. For those students, the cost is plik buying an auto one part at a time....very expensive. MY bet is that the colleges and universities have built in so much "fixed costs", including debt, that their costs are simply runaway. Thus they seek out of state and foreign students, at higher fees, that the taxpayers find hard to justify supporting. The simple truth is that we are not taking advantage of the technology that high schools and community colleges use, in favor of "the college experience". I keep reading about two additional factors that appear to be legitimate and yet are unmentioned. 1) The increase in the number of administrators per instructor and administrator salaries. 2) The increase in amenities offered by colleges. Both appear to significantly increase the total cost of a collegiate education. I graduated from college in 8 semesters/4 years........including two student teacher contacts. I still consider this as one of my major accomplishments in life even though I had a productive 40 year career in education. Thank you Mr. French, particularly for the clarity and the honesty of #1. "Teaching salaries" in number 2, however, could still do with work and in this political climate inadvertently might mislead readers. Most faculty -- particularly at the R1s but increasingly at the colleges -- are not "teachers" in the K12 sense. Nor do you want them to be. They are researchers who bring their expertise and often their research dollars to the classroom. The budgets you should really be tracking are the non-academic side of colleges and universities (such as, charter school offices). Most of those budgets have exploded as state funding has dropped. The reason? The colleges and universities have been forced in to the position of selling themselves as mini-businesses or corporations. Would you like to sit down with actual university administrators? Faculty members? Committees? etc. and we could walk you through this? With the huge increase in the number of contingent and adjunct faculty and decrease in tenure track positions I can't see how the cost of faculty is a major factor. Administrative positions have increased at a much higher rate. The article (this series) provides a multifaceted view, and that is appreciated. Too often individuals seek the single-minded explanation -- one of many blind spots. I do look forward to additional articles dealing with issues such as the growth in administrative costs, subsidies provided by a large number of out-of-state and international students, and federal financial aid policies. That said, the relative amount of time faculty spend in the classroom might be another area to explore. Many research-intensive universities place many, if not most faculty on reduced teaching loads if they are active researchers. While some of this research produces benefits to taxpayers and students, a much closer examination of this relationship is warranted. I find that K-12 teachers receive far less support and compensation and work very long hours in and out of the classroom. If more college professors were required to do even a fraction more in the classroom, these college costs would come down. After going through the college game with my own kids, I wonder how well managed and or coordinated are our colleges and maybe they should be? Why does every college have to have, take your pick ... say a Drama or art dept/major? The classes are small and there aren't anywhere near the jobs to fill the numbers of graduates being pumped out. Why not have only one or two schools in our state offering this rather than a dozen? Many of the majors only serve to prepare more instructors to teach the same subject elsewhere, in a repeating futile cycle. Also seems many majors are just made up disciplines designed to maintain the presence (and cash flowing) of marginal students with majors that go nowhere. Seems the tax payers are getting a lousy deal for their investment yet people complain about lower funding. You also touched on the faculties, almost campus supports an un-naturally high population of cranes. Even if paid for by donors? What about maintaining them? I think we all need to re-think the state supporting colleges. Does it make any sense for taxpayer money (read that as hard earned dollars from the working middle class that the state takes from them) going to support the minority of people that go to college. About 55,000 bachelor’s degrees are issued in the state each year and a lot of those are not Michigan residents. It is not fair to the remaining citizens of the state that choose an avenue other than college and it encourages colleges to be inefficient. Because college graduates are more likely to become taxpayers who bring in more tax revenue, and because many taxpayers benefited from similar tax funded education. Larry, out of state residents pay higher tuition because their families have not paid the taxes to support the university. Seems fair to me. The bigger question is how to keep Michigan residents who graduate from Michigan colleges in the state after they graduate, so that our state's investment in their education will pay off. no discussion of bloated administration -- entire floors of vice provosts, associate and assistant deans, directors of programs only indirectly related to student learning. No discussion of the flurry of building and rehabbing fancy eating areas way out of proportion to need, as well as brand new gyms and recreational facilities -- again, unrelated to student learning. And I'm not buying that most faculty could earn more in the real world, so they are enticed to be professors with higher salaries. That might be true for medical schools -- but being a professor provides lots of autonomy and a great life. Most in the business college, for example, are probably much more comfortable in academia. They'd never make it in a real business environment. With gyms, upgraded dining areas, recreation facilities etc. the schools are competing with the private sector, many students want a higher standard of living than the generations that went before them and in order to keep the students on campus they have to respond and be competitive. I know that will rub some people the wrong way that will say "In my day we got along fine with just...." its a changed world whether we like it or not. Mr. French, Regarding your fourth point, I have to ask - do these four year graduation rates account for student dropouts and transfers? These parts of the student body are often hard to capture and I worry that examples like the nine percent four year graduation rate at Saginaw Valley State University may in fact be higher if we were to remove those who had left the university prior to the four year mark. Including the six year graduation rates at these universities may provide a more complete picture. Also important to note, declining state support and the subsequent decline of institutional resources at public colleges and universities across Michigan have likely propelled the decline in four year student completion. As resources at institutions have become strained, many students may not have been able to complete their baccalaureate requirements on time. This is an important distinction, as it would suggest declining state support not only increases tuition but also the amount of time necessary for college completion. There is a glaring omission in this article: the positive or negative effect of the rapidly increasing number of part-time faculty on budgets and on the quality of instruction. Part-time instructors are paid very little and in many institutions receive no benefits. Furthermore, many must teach at two or more institutions to barely eke out a living and this makes it logistically difficult to provide top quality instruction regardless of their best efforts. The cost of instruction is increasing while more of it is being provided at near minimum wage. Where is the money going? I hope this issue will be addressed in a future article. So they take away funding from public universities and virtually eliminate scholarships. Then only the wealthy offspring can get quality higher education at private schools. Then who is left to run our corporations and our government? The middle class is left farther behind. We are deliberately developing a class of low paid serfs, drowning in debt, to enhance the wealth of the those who can afford an education. Thank you for the synopsis of college costs. I believe that we as a a society are drowning our young people in a sea of debt they will never be able to pay off. For instance, a year ago the board of directors at West Shore Community College (in Mason County) increased tuition (again). One of the comments by a board member was, "...the students can always take out more in loans..." to pay for it. Unfortunately it is no longer possible to work and completely pay for a years worth of books, room and board, AND tuition as I did in the late 1960's. And in the late 1960's a High School diploma entitled you to a job with a living wage. Can we even say the same for a Bachelor's today? Oh please stop with the 'woe is me' essays. Look, nothing says that the state should provide an education beyond K-12. Can you graduate in four years?...yes...but then that would take a little effort. 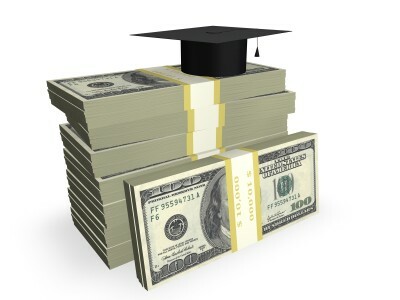 Can you pay for the education?...yes....make intelligent choices on where to go..start with Community Colleges and study hard in high school to insure you're ready and not in need of the remedial course work that too many of the youth require as they enter college life. Get a job in the summer and take one on campus during the school year, it won't ruin your 'college experience', in fact it will contribute to it. Enough has been said about the wanton waste in new construction on campus. Although the Billions, yes with a 'B', that constitute the endowments that some institutions are graced with, do not necessarily correlate with the tuition and ancillary costs, it is hard to sympathize with institutions with such resources. These temples of higher learning could do a much better job of scheduling course work to allow access to classes to facilitate matriculation in the four year time line, but then that doesn't fit the mold for contemporary administrators planning. I do think that many undergraduate courses are still taught by GA's and they aren't getting rich in that role, so just where is the money going. Good question! It would take a little effort and detective work, but I don't think our contemporary investigative reporters are up to it. My daughter went to community college for a year and then completed her degree after two years at Grand Valley. The total cost for her bachelor's degree was quite manageable. There is no reason to shed tears for the high cost and student loan load that some students are stuck with. Those students who take 5-6 years to complete their degree made choices (let's party) that they should pay for. Too many students make decisions about college based on which school will be most fun, where cost isn't a factor. Unfortunately at some point the party ends and the bills have to be paid. Cost to the expenditures to provide an education. Government funding does not reduce a costs such as salaries.